There's nothing like the warm and inviting appeal of carpet flooring. In San Antonio, Fast Floors of San Antonio is your source for the most vibrant colors, styles, and textures at the best prices in town. There's a reason locals rely on us for all their flooring projects. 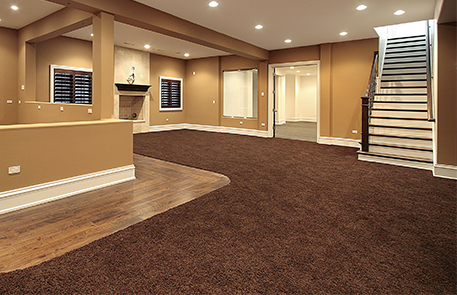 Our ultimate goal is to help you find the carpet floors of your dreams at a competitive price. For our full list of products, please contact us or visit our showroom today! We have more than 30 years of experience in the flooring industry and are happy to help you find what you need. Our associates have the expertise and brand knowledge to educate you about your options, helping you make the most informed decision about the future of your floors. Now that you've found the perfect carpet flooring, you want a certified contractor to install it in your home or office. Fast Floors of San Antonio has you covered! We not only offer discount carpet in San Antonio, but provide professional installation. Our installers maintain years of experience installing carpets and know how to properly place each square. With our professional installation, your carpet installation in San Antonio and surrounding area is done right the first time! Call us today at (210) 787-5626 for a free estimate on carpet prices in San Antonio. We proudly serve clients in San Antonio, Helotes, Stone Oak, Leon Valley, Alamo Heights, Balcones Heights, La Cantera, the Dominion, Rolling Oaks, Universal City, and Converse, TX.